INVESTMENT OPPORTUNITY NOT TO BE MISSED! Both sides currently rented and both tenants want to stay (one side same tenant for 16 years). The left side unit has been recently painted and with a main floor living room and eat in kitchen with washer and dryer hook ups inside the kitchen closet. The main floor also has a half bath. Upstairs there are two bedrooms and a full bath. The right side unit has newer laminate flooring on the main floor and matches the other unit floor plan. Both have carports and storage closets outside and each has an outside patio. 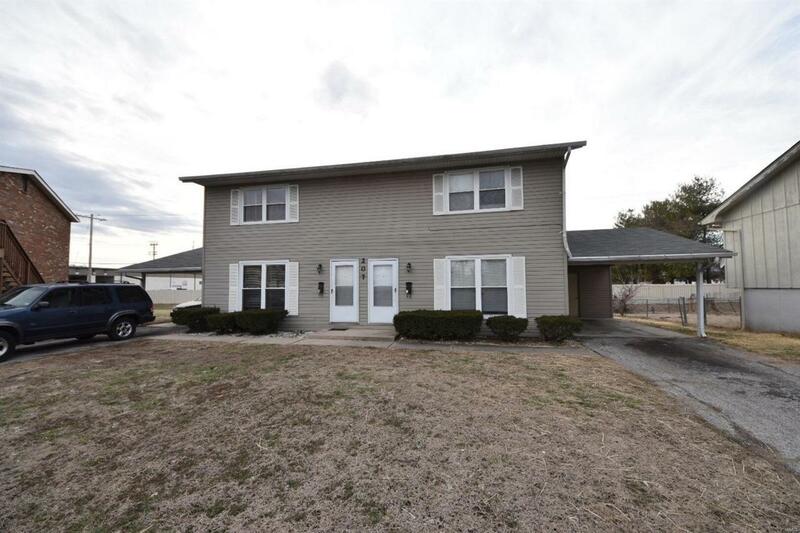 O'Fallon schools and walking distance to downtown!